It’s that time of year again. Any time you venture outside you begin to perspire immediately and the mosquitos are out in their full horrific force. And it’s hard to know how to combat them without spending a fortune on monthly yard sprayings from a local pest control company. But it turns out that DIY mosquito treatment isn’t only possible – it’s cheap and effective. Mosquitos are certainly an annoyance all summer long. Even without the advent of a scary disease like Zika, getting rid of mosquitos in your yard is a huge win for you and your family. So let’s get to how you can do this yourself without having to pay $70+ a pop for a company to come out to your home. Just so you know, I’ve been doing my own pest control for years now. It’s been incredibly effective and I’ve still got a lot of professional insecticide left! And that is going to come in handy, because as it turns out, Talstar P keeps away mosquitos in addition to 75+ other insects. Applying the actual solution of Talstar P is pretty simple. But first, you’ll want to take care of basic things like making sure there isn’t any standing water around your property and that your grass and bushes have been trimmed well. 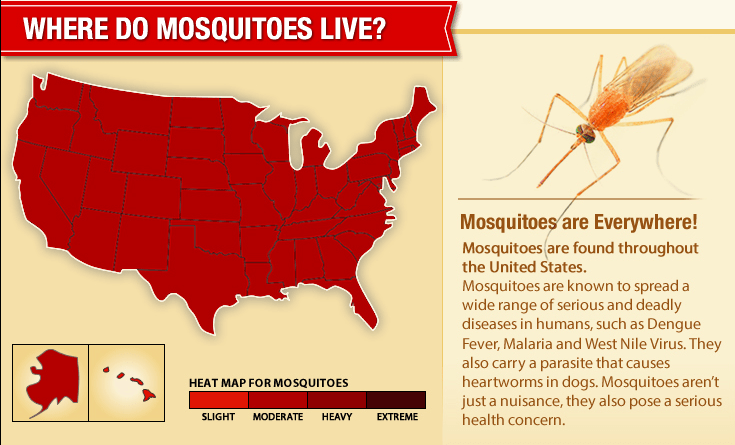 Mosquitos thrive in an environment with standing water and an unkempt lawn. Once you’ve cut the grass and trimmed the shrubs you are ready to spray! You can purchase a cheap spray canister (this is what I use) or go with something more lavish if you desire. You’ll also need to purchase some Talstar P solution. This is the magic ingredient that makes mosquitos wish they had never been born. Feel free to purchase whatever size bottle will suit your needs best, but you’ll get more bang for your buck with the larger size bottles. Oh, and you can also get $5 off a $50 purchase with coupon code givemea5. You’ll only need three basic things to spray effectively for mosquitos at home – the spray canister, Talstar solution and water. You don’t need a special plastic outfit to spray for mosquitos at your house, however, you’ll want to wear long sleeves and protective gloves. DoMyOwnPestControl.com has a really handy guide to help you get rid of mosquitos. Make sure to mix according the Talstar solution according to the instructions (1 oz per 1 gallon). One common misconception is that you have to spray your whole lawn. Not true. You’ll want to focus on the underside areas of leaves, trees and bushes. You should also spray underneath decking and overhangs. That’s where mosquitoes like to gather. Is it safe to spray for mosquitoes yourself? The Talstar P product that you’ll be using is very safe for a homeowner to use. If you have children and/or pets you’ll want to avoid letting them near your spray pattern until after it has fully dried. I have small girls and I use this product for my own pest control at home both indoors and out. Best of luck doing DIY mosquito treatment at home. It really isn’t terribly difficult and will save you a lot of money over hiring a local company to come out and spray at your house. And with Zika becoming an ever increasing threat, spraying for mosquitoes yourself could be beneficial to your family’s health as well. And don’t forget to use coupon code givemea5 to score the added discount! Dude, I am a mosquito magnet! I am gonna check out the Talstar P spray, thanks for the tip!